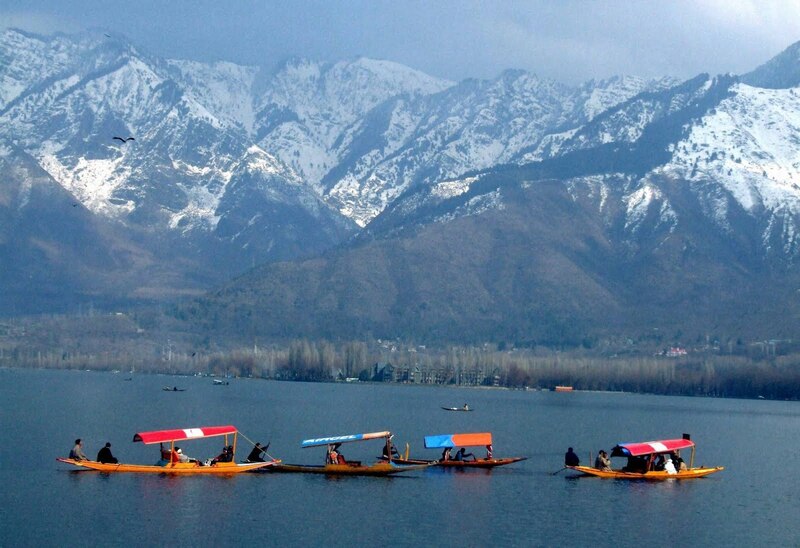 The dreamland, the choicest creation of god, Srinagar is set as a jeweled crown. Being the capital of the Sartaj of India, Jammu and Kashmir, Srinagar lies in the Kashmir Valley, on the banks of Jhelum River. Famous not only for its scenic beauty, the place is known for its artistic and rich cultural heritage. To add more to it, the city has its own attractions including lakes, swampy lagoons, holy places, lavish hotels and the beauty one ought to capture during lifetime. Never ceased to mesmerize you with its abundant picturesque views, studding surrounds and gorgeous weather, Srinagar is truly the Heaven on Earth. Explore The Rediscovered Paradise to witness the enthralling beauty of nature. Let’s together embark on a virtual journey to some of the striking places of Srinagar, particularly the living lakes of the city. Surrounded with chinar & cypress trees and crowned by snow peaks of the Himalayan ranges beyond, these lakes are worth a visit. 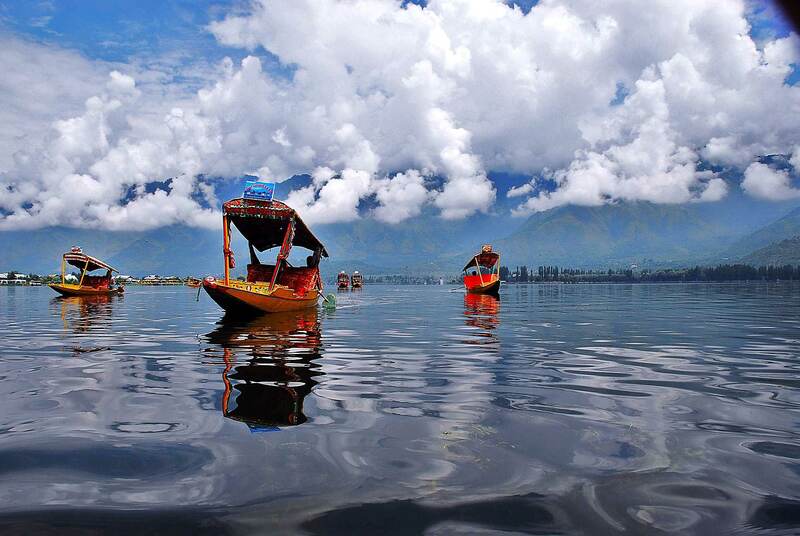 DAL LAKE: Situated in the hub of the modern city of Srinagar, The Dal Lake is Srinagar’s Jewel. The 26 sq.km mirror-flat sheet of water reflects the carved wooden balconies of the houseboats and the snowclad peaks of the Pir Panjal Mountains. Being the second largest lake in the state it has numerous activities to interest you. How about enjoying an hour paddling around the backwaters with someone special or experiencing peace and tranquility while a ride on the Shikara? Capture a view of the floating gardens, floating post office (which is one of its kind in India), vegetable market (early morning). Or witness the daily chores happening in and around with houseboats & Shikara’s rowing around the lake transporting goods to market, children to school and travelers to shore. And to capture this and more you have the most enterprising mobile photo studios on the lake. Get a perfect Kashmir ki kali “Damsel from Kashmir” picture while go back. Experience this beauty of the nature while your stay at RK Sarovar Portico, Srinagar, as it is easily accessible owing to the prime location of the hotel. Just a half kilometer away from the place, The Dal Lake is the most picturesque spot in Srinagar. WULAR LAKE: You can never go back home without visiting one of the largest freshwater lakes in Asia. Sprawled over an extensive area of 200 sq. Kilometer, the lake is an important habitat for the fish fauna of the region. Roosy barb, mosquito fish, snow trout along with thousands of other inhabit the place. Known as Mahapadamsar in the Hindu sculptures and epics, the lake is famous for its high waves and hydrological values. Apart from these socio-economic, biological importance the lake has attracted thousands of tourists. Tucked away in the scenic realms of Kashmir, Wular Lake is a perfect scenic gateway if you are looking forward for an enchanting memory in the valley of Srinagar. Hire a houseboats or sailing boats or doongas to cruise along the beauty of mountains in the background and silence prevailing around the lake. 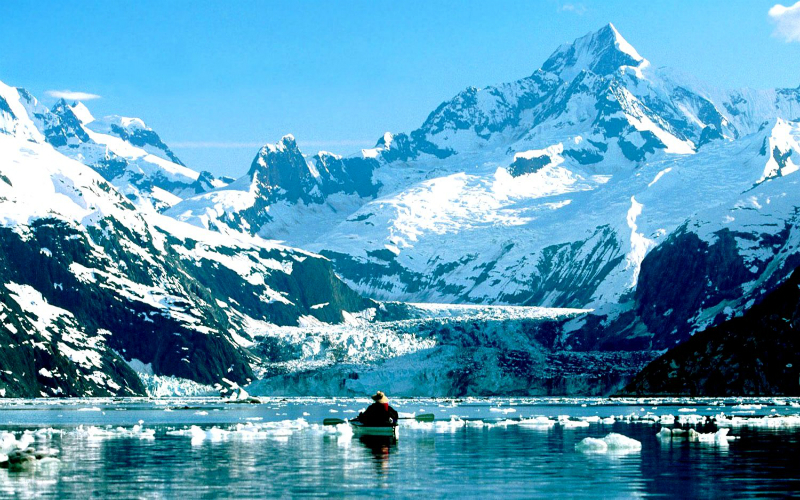 You’ll be left awestruck by the scenic terrains of the lake. The sight and sounds of women chanting some age-old ditty as they pick water chestnuts, deftly navigating the weeds in skiffs are sure to captivate your senses. Out for a family vacation or looking for an uncharted trekking destinations? Then Srinagar is the place. Spend some great time enjoy boating, fishing and water skiing on Wular lake with your family or enjoy excursion and trekking with your group of friends. Also a great paradise for the birth watches and nature lovers, Wular Lake is the most scenic and sightseeing spot. Don’t forget to take a camera! MANASBAL LAKE: Situated amidst the scenic landscape of Aha-thung, a low hill and on the other side is a plateau. The depth of the lake makes it most beautiful and deepest lake in Srinagar. Located in Safapora area of Ganderbal District, the lake is a bird watcher’s paradise. You’ll never hear a sound, no hustle bustle but you’ll tranquilized with a birdsong. Calm and clear! The lake which provides a perfect foil to the majestic Himalayan slope which surrounds the entire Kashmir Valley. Adding more to it, is the periphery blooming all with the beautiful pink lotuses. As your Shikara will glide through this mirror lake, you will experience yet another facet of Kashmir. Visit this “Supreme gem of all Kashmir Lakes” during your trip to the Heaven on earth. These lakes add a lot to the beauty of the place. Don’t forget to visit them the next time you are in Kashmir. Make sure you take back home some everlasting memories to cherish and let this paradise linger in your thoughts forever.